KEMP PLUMMER BATTLE 1831-1919 STATE TREASURER FIRST GROUP OF INCORPORATORS OF OAKWOOD CEMETERY PRESIDENT OF UNIVERSITY OF NORTH CAROLINA 1876-1891 CHAIRMAN RALEIGH 1892 CENTENNIAL CELEBRATION BATTLE SECTION, LOT 10A Kemp Plummer Battle was born at Louisburg, North Carolina, December 19, 1831, the fourth child and third son of William Horn Battle, a distinguished North Carolina jurist and Lucy Martin Plummer Battle. Two of Kemp Battle’s brothers, Julian, born in 1826, and Thomas Devereaux, born in 1836, died in infancy. His remaining five brothers, like himself, were graduates of the University of North Carolina. His two youngest brothers, Junius Cullen, born 1841, and Wesley Lewis, born 1844, both died of battle wounds during the Civil War. Junius was killed at Sharpsburg in 1862 and Wesley at Gettysburg in 1863. His older brothers Joel, born 1828, and William Horn, Jr., born 1833, became physicians. Another brother, Richard Henry, born 1835, practiced law in Raleigh. Kemp’s older sister, Susan Catherine, born 1830, remained unmarried and died 22 years after a fall from a horse at age 15 left her an invalid for life. His younger sister, Mary Johnson, born 1840, and married to William Van Wyck, II, died unexpectedly in 1865, leaving a one-day old baby. Kemp received his schooling in Louisburg, Raleigh, and Chapel Hill. He entered the University of North Carolina at Chapel Hill as a freshman in 1845 and graduated from the University in 1849 as the valedictorian of his class. During the next five years he worked at the university, first as tutor of Latin from 1849 to 1850, then as a tutor of mathematics, all the time studying law under the tutelage of his father. He was admitted to the North Carolina Bar in 1854 and began a practice in Raleigh. In 1855 he married his distant cousin, Martha Ann “Pattie” Battle, daughter of James S. Battle of Edgecombe County. In 1857, he was named a director of the re-chartered Bank of North Carolina and in 1861 he was chosen as a delegate from Wake County to the Secession Convention and was a signer of the Ordinance of Succession. During the Civil war he served as president of the Chatham Railroad which existed primarily to haul coal from the mines in Chatham County to Confederate armament factories. In 1862 he was named as a trustee of the University of North Carolina, a position he held until the entire board was dismissed by the Reconstruction General Assembly in 1868. Battle was elected Treasurer by the State Legislature in 1866 but was removed from office in 1868 by the occupying U.S. military authorities because of his service to the Confederacy. In 1874, Mr. Battle was reappointed a trustee to the University, a position he served for the rest of his life. He was named president of the University in 1876 and served quite ably until 1891, when he resigned to become Alumni Professor of History. He became a distinguished historian and compiled a significant body of scholarly work, the most prominent piece being his two volume History of the University of North Carolina which is considered by many to be a significant work. In 1892 he was the Chairman of Raleigh’s Centennial Celebration and he and his staff put together a week long celebration that was talked about for years. As a historian, Battle dedicated his life to procuring a “historical museum under the directorship of a paid curator, in afire-proof building,” where he could display manuscripts, valuable papers, and relics, including those collected by the North Carolina Historical Society, which were in the safekeeping of the University though the Society retained ownership. The North Carolina Historical Society was founded in 1844 by David L. Swain, then president of the University and earlier, North Carolina’s youngest governor Kemp Plummer and Martha Ann had three daughters and four sons. Their first child, Cornelia Viola, born 1857, married Richard H. Lewis II, a Raleigh attorney. Cornelia died at the age of 19 in 1886. Their younger daughter was Susan Martin, born 1864 who lived 6 years, and Penelope Bradford, born in 1866, lived just two years. 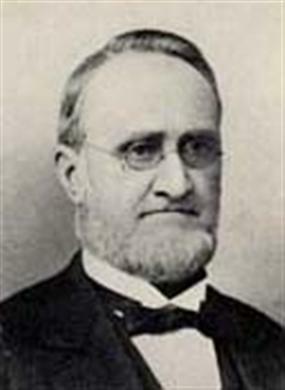 Their second child, and first son, Kemp Plummer, Jr. was born in 1859 and became a physician and medical school professor. The second son, Thomas Hall, born in 1860, practiced law in Tarboro and Rocky Mount, served as president of the Bank of Rocky Mount and treasurer and general manger of the Rocky Mount Mills. The third son, Herbert Bemerton, born in 1862, received a Ph.D. degree in chemistry from the University of North Carolina and was for several years, manager of the North Carolina Agriculture Station. The Battle’s youngest child was William James, born in 1870, who obtained his A.B. and A. M. degrees at the University of North Carolina and his Ph.D. from Harvard in 1893. William taught classical languages at the Universities of Chicago, Cincinnati, and Texas and served for many years as dean and president at the Texas school. In politics, Kemp Plummer Battle was an antebellum Whig and a post-bellum Democrat. In his religion he was Episcopalian. He died in Raleigh, February 4, 1919. HISTORICALLY SPEAKING: Kemp Plummer Battle was President of the Raleigh Cemetery Association during the period 1871-1876. Please share your memories of KEMP.